(TNS)–Your credit score teeters somewhere between 301 and 850, with a score equal to or above 750 being the ideal. Over your lifetime, your score will rise and fall according to your financial health, and it will affect your eligibility to receive credit, competitive credit card perks and interest rates. If you’ve been paying your bills diligently, you can enjoy some of these perks of good credit. Although the practice is not that common — and even restricted in certain states — some employers pull credit reports on prospective employees. A survey conducted by the Society for Human Resource Management found 47 percent of HR professionals conducted credit history checks on potential hires. Eighty-seven percent of survey respondents said they screened candidates’ credit history for jobs with financial responsibilities. Forty-two percent said they did so for senior executive positions, and 34 percent said they screened candidates that would be managing confidential information. So, if you’re applying for competitive jobs, a good credit report doesn’t hurt your chances. Looking to nab a new car or house, or maybe even refinance? Most lenders include a minimum credit score in their requirements — and the higher your credit score, the more negotiating power you have over rates. “A high credit score can be used as leverage when negotiating terms with lenders, which can add up to significant savings for major purchases,” says Edward Petersmarck, national sales director at M&O Marketing. Not many Americans know that most insurance companies use a credit-based insurance score to determine your premiums, according to the National Association of Insurance Commissioners. It’s essentially a snapshot of your credit history that estimates the likelihood of an insurance loss. 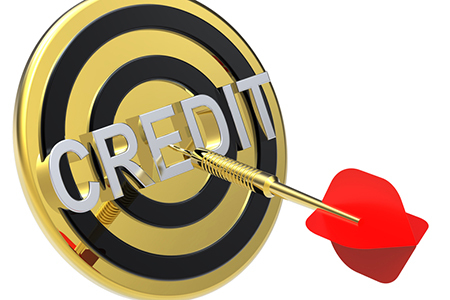 A credit-based insurance score doesn’t look at all factors that affect a credit score, but it does look at payment history, outstanding debt, credit history length, pursuit of new credit and the mix of credit you have. Although not every state follows the practice, if your credit is subject to a screening, a higher credit-based insurance score can land you more favorable premiums. “A good credit score implies you could be racking up perks such as cash back on purchases or airline miles when you use a credit card,” says Josh Alpert, a registered investment advisor at Motor City Retirement Advising. For example, a frequent traveler with a good credit score might be eligible for the Barclay Arrival Plus World Elite MasterCard. After charging $3,000 in purchases in the first 90 days, the card offers 40,000 bonus miles — the equivalent of a $400 travel statement credit. It also offers double miles on all purchases, plus 5 percent miles each time you redeem. A good credit score could give you more leverage when negotiating rent, security deposits and lease terms. An excellent credit score really is something to write home about. With a higher score, you’re reaping greater credit card rewards and have more negotiating power with lenders. But you also have more leverage when it comes to payment plans. Credit Karma reported a good credit score can earn you more flexible payment plans for new cellphones — because who doesn’t want the latest iPhone? GOBankingRates’ 2015 Life + Money Survey found money is top-of-mind for one in four Americans. Being satisfied with your finances is difficult today, where high debt — whether for student loans or medical bills — is commonplace. But a high credit score can make it easier to manage your money. “A good credit score provides you with peace of mind, knowing you are armed with a very powerful tool you can wield at some future point when your life requires it,” says Alpert. Don’t underestimate the advantage of a strong credit score. Overall, the key to receiving benefits is letting lenders and credit companies know about your good credit. So, go on and tell them to reap the rewards.